So the seasons are changing and I don’t know about you, but that’s exactly when my hair starts to be pretty unmanageable: dry, excessive shedding and etc. I’m always searching for a product to heal my dry hair and scalp. In my pre-natural days, I suffered from severe dry scalp and dandruff, but once I went natural, that problem disappeared. However, a month ago I noticed this problem appear again! I was not having it. So the September curlBOX came just in time! This was my first curlBOX, so I was beyond excited to receive it so quickly after I knew it was shipped. That pretty black box with products wrapped in hot pink paper made my night! No…really it did. I was having a rough day and to receive a box full of products from one of my favorite natural hair brands, Shea Moisture, for over half the price I could have paid at a local store was beyond amazing and enough to make any girl happy! This curlBOX featured Shea Moisture’s Superfruit Complex 10-in-1 Renewal System, which is exactly what I need for the seasons ahead! I’m all about my products being infused with biotin, because I don’t take any supplements like that. This shampoo smelled good, was light, made a nice lather and left my scalp pretty clear and clean. This conditioner left my hair pretty soft, to the point that I just wanted to stop here! LOL. I appreciate that I only need a little for it to cover my hair and scalp, that helps the product last longer. However, it did take a rather long time for me to wash it all out. So I’ve used it as a cowash and loved it, but if you’re in a rush, just keep that in mind. I’m all about masque right now! 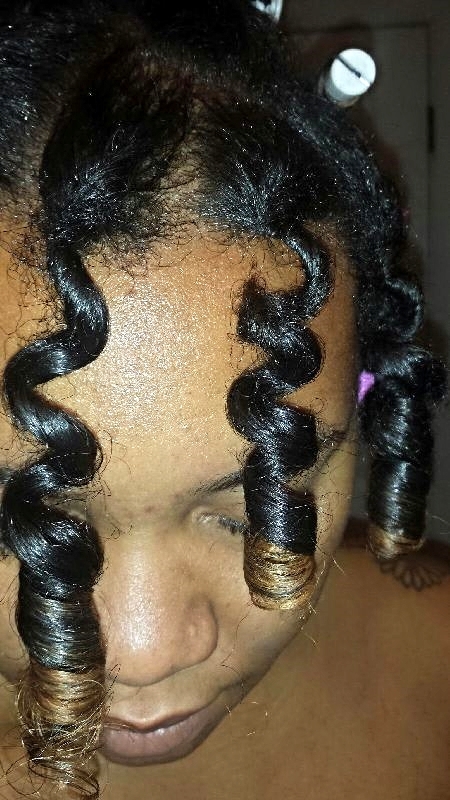 I literally have three in my closet waiting to come out and make their debut to my curls! I love them and this masque is no different. It was a great follow up to the conditioner. I put my hair in chunky twists and actually left it in longer than intended, because I had to run an errand, and my hair began to dry. When I took my twists down, I almost hated to wash it out! 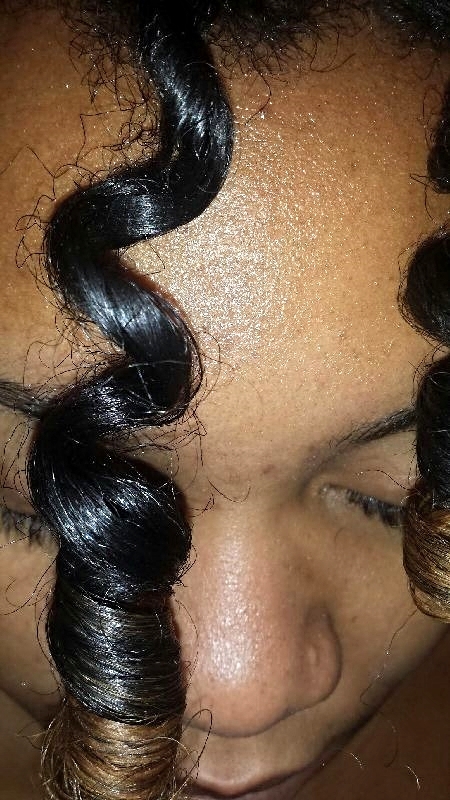 My curls were poppin! This serum was the truth! I tell you nothing but facts ladies. I’m horrible with squeeze caps like these, so I probably used more than I should simply because I was having a hard time feeling it on my hair. So I guess that’s a good thing and a bad thing. It may go quickly if you have that probably, but if I did you use more than I should have, it did not make my hair oily what’s so ever. I also noticed a decrease in my scalp issue and a delay in how quickly it came back. I’m sure a few more weeks of this serum and it should disappear all together! I threw this extra goodie in my purse to take it along and it keeps my hands super soft throughout the day! I haven’t invested much in Shea Moisture body products, but plan on reviewing some this fall! So be sure to subscribe to our blog to know when those treat peeks are up! 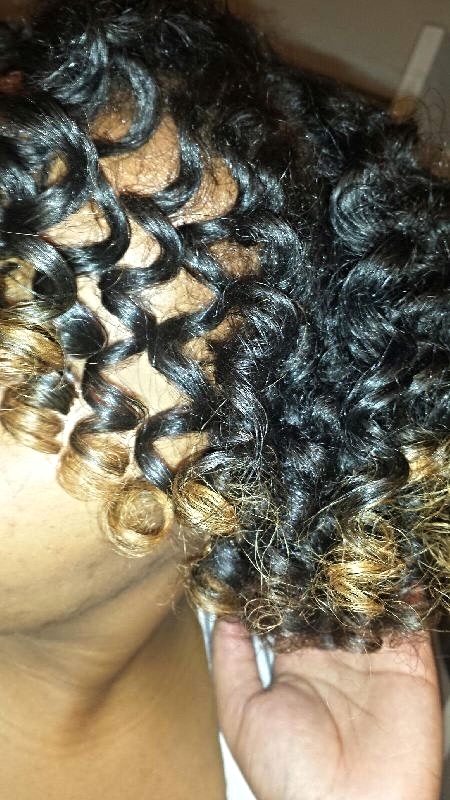 These products left my hair shiny, soft and bouncy for this perfect perm rod set! Have you tried this? Tell us about it below! What in the World is Periscope? Your hair looks amazing! I had a CurlBox subscription for a few months, but I cancelled it once I realize I had more product than I knew what to do with lol. But this is definitely making me reconsider re-subscribing. Thanks for sharing this review! Thank you! Yes, this was my first one and I was very pleased. I understand how after a while the products can be overwhelming, but my plan is to give what I don’t like to my bloggers to review and other natural friends! Great review! I love Curlbox and am sad I no longer get it. This line of Shea Moisture is the bomb.com. I haven’t used the shampoo yet so your review was helpful in this regard. Thanks for all of this info. Thank you! I’m definitely a Shea Moisture fan, but this line is great! I’m glad I was able to help! Thank you for such a wonderful article dear and from my side I want to say that i am using manuka honey intensive hydration complex from long for my hairs and its really effective. This potent treatment absorbs quickly to encourage a healthy scalp and lustrous, beautiful hair. Leaves hair soft, manageable and resilient. Improves hair’s elasticity and promotes healthy growth.